Ciamar a Bhios Iad 'gad Shloinneadh | How Do they Style You? Lesson Plan: Why did the Gaels Leave Scotland? Did you know that the world's longest running all-Gaelic newspaper known as MacTalla (The Echo) was published in Sydney, Nova Scotia? It ran from 1892 to 1904, first weekly and later on a bi-weekly basis. MacTalla's editor was Jonathan G. MacKinnon of Dunakin, near Whycocomagh in Inverness County and descended from Gaels of the Isle of Skye. MacTalla included news from Nova Scotia and around the world, songs, stories, riddles and advertisements. People who subscribed to the paper came from all over Nova Scotia, North America and abroad. The rising cost of rent for buildings in Sydney due to the growth of the mining and steel industries meant that MacKinnon could only afford to publish MacTalla every second week. Eventually, it was discontinued in 1904. Heading on MacTalla newspaper. The Banner underneath is a Gaelic Proverb that reads: An nì nach cluinn mi an diugh, chan aithris mi maireach…"What I don't hear today, I will not speak of tomorrow." By 1850, Scottish Gaelic was the third most spoken language in Canada after English and French. In 1890, Cape Breton native Thomas Robert MacInnes introduced a bill that would allow the use of Gaelic in Parliament. He was unfortunately defeated. The Gaelic alphabet has 19 letters (including 'h'). 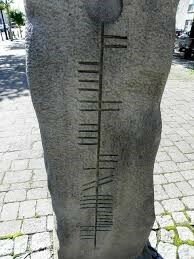 Originally, each letter was represented by a tree, so the alphabet went like this: Birch, Rowan, Fern, Oak...Before we had the letters we use today, the Gaels carved lines in stone, each jutting out of a main line like branches on a tree. Gaelic settlers in Windsor, Nova Scotia introduced the Gaelic game of Camanachd or 'Shinty' to others in the community. 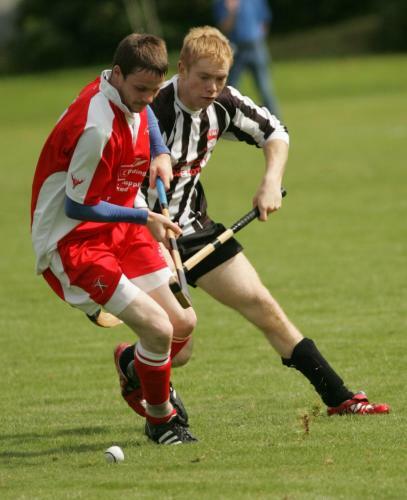 Instead of being played on field, as it would have been in Scotland, the Camanachd players would wear skates and play on ice. This game would later evolve into what we know today as hockey. Currently, there are 11 public schools across Nova Scotia that offer Gaelic as a subject. 'Breacan' is the Gaelic word for tartan. Nowadays, we have different tartans for different families but this is really a recent invention. 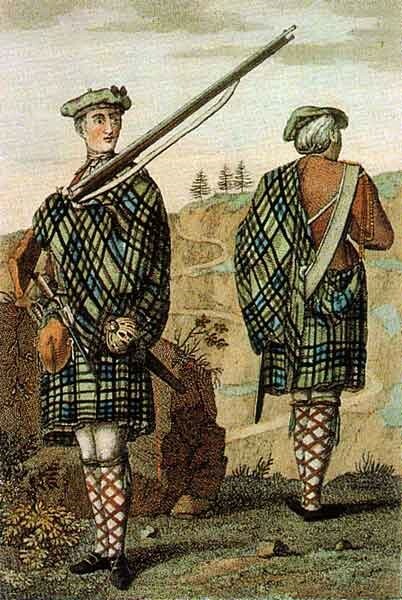 The original tartans sometimes varied according to the areas they were made. Since people mostly used plants for dyes, most tartans were brown, yellow, green and grey (red and blue could only be made with dyes you had to purchase) and the colours you could make depended on what plants were available in your area. The word 'plaid', also used to mean 'tartan' comes from the Gaelic 'plaide', which means 'blanket. Gaelic men wore a large bolt of cloth around their shoulder, and waist which could also taken off and used as a blanket. 'Gaelic' refers to the languages spoken originally by the Gaels of Scotland and Ireland. Gaelic was brought to Scotland by colonists from Ireland over 1500 years ago. Scottish and Irish Gaelic are very similar. Both Irish and Scottish Gaels shared so much in common culturally that they were sometimes referred to as "The Sea-Divided Gael". 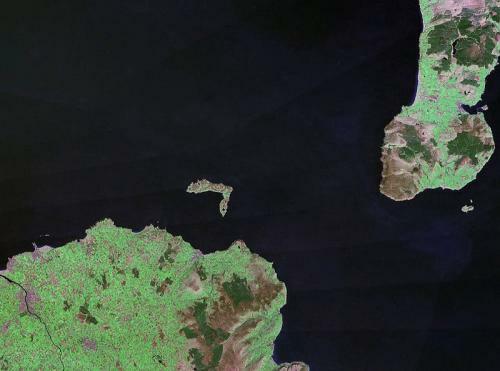 The Strait of Moyle, dividing the two countries is only 2O km wide at it's narrowest point. The Strait of Moyle. Scotland is on the right. Ireland is on the left.